Sen. Obama said family was off limits. Neither he nor Joe Biden went after Palin&apos;s family. And once again the GOP beats the left in the race to the bottom. 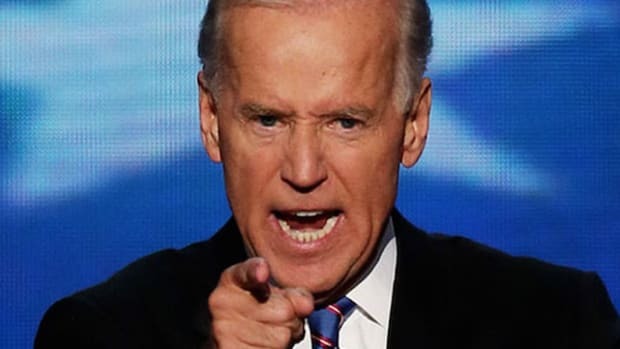 After Sarah Palin&apos;s daughter, Bristol, her teenage pregnancy, and her high school boyfriend were run through the media wringer last week, Republicans are now pointing to Joe Biden&apos;s daughter, Ashley, to make the case, ostensibly, that no candidate has produced perfect children. Republican sources have been circulating a 2002 news story (from the Tribune) that reported Ashley Biden was arrested for obstructing a police officer in Chicago in August 2002 after getting into a verbal spat with a cop in a late-night nightlife district. The charges were dropped after she apologized to the officer involved. Ashley Biden, then 21, was a Tulane University student at the time. She now works as a social worker in Delaware. Of course, John McCain made dirty jokes about Chelsea Clinton, so the excrement rolls downstream.